The European Empire is using our taxes to subsidise skiing holidays for the children of MEPs and EU officials. Our imperial masters are already threatening legal action if they don't get a 3.7% pay rise next year on top of their already generous salary, expenses and perks. A sizeable proportion of EU officials, including MEPs, get diplomatic immunity and pay reduced rates of tax. The subsidy is worth up to 52% off the cost of the £822 holiday for someone on a meagre £69,620 salary and an official on a salary of £108,000 is still eligible for the subsidy. If more than one child is sent on the holiday, a further 10% subsidy is available. I'm sure we'd all love to send our children on a subsidised skiing trip - I know for a fact that my eldest son's school charges a damn sight more than £822 for their skiing trip - but we don't all have that luxury. Whether we can afford to send him on the skiing trip remains to be seen - I don't earn half of the £69,620 salary the European Empire considers to be a low wage. But I won't get a 50% subsidy on the cost of his skiing trip courtesy of the European Empire, I'll just have to pay for people who earn more than double what I do to send their kids on subsidised skiing trips instead. And here was me thinking we were in a recession. UKIP's Godfrey Bloom, a member of the EU Freedom and Democracy Group was interviewed by Alex Jones. He rails against politics and big business, global warming, the EU and describes the means by which the British constitution has been overridden, our democratic processes destroyed by treasonous politicians and how the BBC has been complicit from the beginning. Let's be honest that whether you're Labour, Conservative or Liberal Democrat, you're motivated by pretty much the same progressive aims: a country that is safer, fairer, greener and where opportunity is more equal. It's how to achieve these aims that we disagree about - and indeed between the Conservatives and the Liberal Democrats there is a lot less disagreement than there used to be. A startlingly honest assessment from Dave: no matter which one of the LibLabCon coalition you vote for you're going to get the same outcome, it's just the way they screw you over that varies. A Facebook group just changed the Xmas number 1 record in this country by giving a means to rebel against the person apparently running things to Indie (Independent) fans who felt that they were being ignored by the establishment in this country and their voice was not being heard on TV or in the music charts (read votes or polls). Does any of this resonate with our situation? We have seen the power of the internet, now let's try and make this technology work for us! As we can't protest by buying an .mp3 from the Internet, we are asking everyone to call the BBC over the Xmas period and make an official complaint to the BBC that only 3 leaders are being included in the 2010 TV debate, despite UKIP beating 2 out of 3 of the included parties in the most recent national election. In the past a few phone complaint phone calls to the BBC have produced a massive reaction and by doing it over a period when staff are taking leave, it should really put a spanner in their works and make the whole protest even more difficult to ignore! The phone number to ring is 03 700 100 222. Insist on making an official complaint, make them take your details and ask that you get a proper response within a week! If you don't have time to make the call on Xmas Day itself, then please call on Boxing Day or the Sunday for maximum impact. A new tax on disability is being introduced courtesy of the European Empire. The EU Commission has ruled that mobility scooters are leisure vehicles and should be subject to the same 10% import duty as a racing car or camper van. The average mobility scooter costs about £2,500 which means this new tax will add about £250 to the cost of a mobility scooter. But why would the European Empire want to impose a tax on some of the poorest and most vulnerable people in society? The tax, which follows a 2005 ruling by the World Customs Organisation, will raise £6million for the Government, estimates the Elizabeth Finn Care charity. Ah yes, follow the money. The European Empire takes 75% of import duty collected by member states and calls it "traditional own resources". And of course import duties are one of the European Empire's most effective protectionist tools, keeping bloated and inefficient industries in the black at the expense of the consumer by adding punitive import duties to goods imported from outside the empire. The European Empire decided last month to extend import duty on shoes imported from Asia, adding between 10% and 16.5% to the cost of importing shoes from China and Vietnam - a cost passed on to the consumer. Tariff's on shoes were introduced to protect Italian shoe makers who were struggling to sell their expensive shoes in competition with cheap imports from countries that aren't subjected to the expensive bureaucracy of the European Empire. Energy saving light bulbs, which the European Empire has made compulsory, are subject to punitive import duties to protect the German manufacturer, Osram, which was slow to move from manufacturing incandescent bulbs and found itself unable to compete with Chinese bulb manufacturers who were already producing energy saving bulbs on a massive scale and free from the expensive bureaucracy of the European Empire. Most mobility scooters are made outside of the European Empire, these import duties are just a protectionist scam to protect inefficient, uncompetitive European companies at the expense of disabled people who have no choice but to pay. Merry Christmas to all our members and supporters. Any suggestions , criticisms welcome ! New rules covering election expenses come into force in January aimed at depriving smaller parties of publicity. The new rules mean that any activity that would normally have to be declared as an election expense will be backdated six months from the date of an election, even if there was no reasonable expectation of an election in that six month period. Receipts must be provided and the spending limit for the election will be backdated for the six months. This benefits the LibLabCon immensely because the only way smaller parties will ever effectively challenge the LibLabCon is with publicity. The media generally ignores smaller parties in favour of the LibLabCon so smaller parties have to rely on leaflets, newsletters and public meetings to get their name about. And because smaller parties have proportionately more activists willing to get off their backsides than the LibLabCon, you are much more likely to get a UKIP leaflet through your door than one for the LibLabCon. The upshot of all this is that a party could go out and deliver 10,000 leaflets and hold a public meeting in January and find that they've spent more than they're allowed for an election campaign and can't stand a candidate. Without regular leafleting campaigns, smaller parties like UKIP will suffer at the ballot box in a way that the LibLabCon never will because they just don't need the publicity. The system is deliberately skewed in the favour of the LibLabCon and today's announcement that the BBC, Sky and ITV will hold a "leaders debate" for Comrade Brown, Comrade Camoron and that bloke who leads the Lib Dims* in the run-up to the general election gives the LibLabCon even more of an advantage. Forcing parties to scale back their campaigning between elections will harm the prospects of everyone but the LibLabCon. It's a stitch-up. As if we didn't know, the EU's plan is for ever closer union and an ultimate end to the sovereignty of nation states. The Germans are now pushing to recruit Cameron and neutralise the sceptics, ever fearful (and rightly so) that the UK's scepticism will cause it to leave the EU eventually and destabilise the EU in the process. German government advisors are insisting on concerted efforts to politically neutralize British EU-skeptics. As explained in a recent paper published by the German Institute for International and Security Affairs (SWP), the British Conservatives' attitude will have a "decisive influence on helping to set the EU's future radius of action," because the ambitious possibilities in EU foreign policy making, opened through the Lisbon Treaty's coming into force, will depend, to a certain extent, on London's cooperation. It is expected that the elections scheduled in May will bring a government change - from Labor to Conservative. The chairman of the conservatives, a flexible "Euro-pragmatist," is taking a Euro-skeptic position because of the balance of forces within his party, according to the authors of the SWP paper, but he can be brought to oppose his party's EU-critical wing. 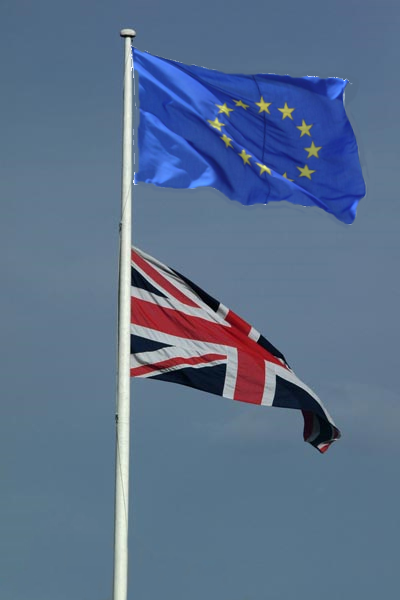 The main reason for British EU-skepticism is the fear of the loss of the country's sovereignty. This is not unjustified, as can be seen in the controversy around Greece's national debt. The German chancellor is threatening Athens that the EU needs to consider whether it should impose an austerity budget on Greece - if necessary, even against the will of the elected parliament in Athens. According to a recent paper published by the German Institute for International and Security Affairs (SWP), London should be more firmly integrated into EU foreign policy, if for no other reason, than for Britain's political economic significance. The authors explain that "Great Britain, the second largest economic realm in the EU, with London being a hub of international finances" could definitely not be ignored "because of its globally designed foreign and security policy." Because of the United Kingdom's well known EU-skepticism, continental European countries have paid "little attention" to London. That was a mistake. It would "behoove" EU members to insist on the British government's firm engagement for Brussels after the Lisbon Treaty takes effect. Attempts should be made to gain influence on the Conservatives, since they will probably win parliamentary elections in the spring. Because of the growing popularity of the EU-critical forces, the SWP describes the current development within the Conservative Party as "somber." 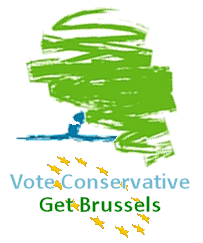 "The new generation of the Conservative parliamentarians will further strengthen the EU-skeptical camp." Therefore it will "sooner or later" be necessary to seek a closer integration into the EU. To achieve cooperation with the current party leader, David Cameron, is not out of the question. Up to now, his EU-skeptical statements have "mainly been out of consideration of internal party power struggles," whereas he, himself, tends more toward "conservative EU-pragmatism." This has become clear already through his backing off from holding a referendum on the Lisbon Treaty. 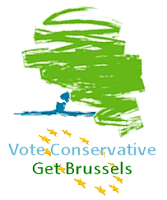 The SWP authors suggest that on the basis of this sort of "conservative EU-pragmatism" Cameron could "use his party leadership position, to place the [EU-skeptical - gfp] rank and file under pressure." Of course Cameron's previous "failure to settle accounts with the hard-liners of his party sends a signal" even "to the dyed-in-wool optimists that there is still a lot of work to be done." But it is worth the effort to attempt to continue to marginalize the EU-skeptics. According to the SWP document, various extraneous circumstances are advantageous to this project. The paper points out that the possibilities of the British Conservatives influencing the European Parliament have been "weakened" since they broke off from the European People's Party, forming a new group ("European Conservatives and Reformists") this year. The authors are also of the opinion that the US government, which is so important to Great Britain, is, under the Obama administration, increasingly seeing "Britain's significance within the EU as a constructive rather than a conflict potential." Therefore the conditions are not disadvantageous for taking action against the EU-skeptics. One cannot avoid the task of forcing the EU-critical circles into retreat, because even if Labor - against all expectations - does remain in government, it can "not be excluded that the national viewpoint, will not come to the fore" - meaning the EU-skeptical tendency. That is why, in any case, an "open debate" with and in Great Britain around the extension of EU activities must be initiated. The SWP authors' suggestions concerning how this should be done remain non-committal and rather ambiguous. The main reason for British EU-skepticism remains the fear that in the future the EU could usurp the sovereignty of the nation-states and blatantly rule the member states, even Great Britain from abroad, bypassing the elected national parliaments. That this fear is justifiable can be seen in the recent developments in Greece. Greece's national debt has reached about 120 percent of its BNP, which is twice what is allowed under the EU's Stability and Growth Pact. Several EU states, including Germany, are exerting strong pressure on Athens to reduce the level of debts at all costs. Whether this is a justified demand, is a matter of dispute. The Prime Minister of Luxemburg, Jean-Claude Juncker considers "the perspective being painted by some, as if Greece is on the brink of national bankruptcy, is at variance with my observations." Axel Weber, President of the German Federal Bank, on the other hand, demands that Athens impose a rigid austerity policy, that would also drastically cut salaries. The German chancellor is demanding that Brussels should be granted new rights of intervention into central areas of national sovereignty, for such cases. If, for example, an elected parliament refuses to enact substantial cuts in wages, Brussels must have the power to order these cuts against their will. "National parliaments do not like to have things imposed," observes Angela Merkel and demands "we have to discuss this type of problem." The extent of this sort of intervention, particularly affecting the smaller EU nations, placing them under de facto direct control of the EU hegemonic powers, in particular Germany, has been anticipated by the Greek Prime Minister Giorgos Papandreou. According to Papandreou, the country's sovereignty is under threat for the first time since 1974, through the external pressure on Athens to reduce its level of debts at all costs. In 1974 the military dictatorship in Greece was replaced by a parliamentary democracy. Papandreou added that Athens itself must institute the reductions demanded by Berlin and others. This is "the only way to insure that Greece does not lose its independence." The British Climate Change Minister, Joan Ruddock, was interviewed this morning on BBC Breakfast from the Copenhagen World Government Climate Change Conference. Throughout the 5 minute interview she talked constantly about the European Empire - the offers it has made, the deals it has done, the laws it has passed, the promises it has made and of course, Gordon Brown is leading it (seriously, she said Gordon Brown was leading the EU at Copenhagen!). When asked what the British government was doing she went straight back to the European Empire again. The reason? We are entirely in the hands of the European Empire as far as this charade goes because when Gordon Brown signed the Lisbon Treaty/EU Constitution, he gave the EU unlimited and exclusive control over "combatting climate change" without a national veto. If the EU issued a directive saying all cows had to be ritually sacrificed and used to build a bridge over the Channel and the entire population were allowed to eat nothing but lettuce and celery, the British government would be legally obliged to carry it out. Emperor Barroso has urged the boss of the Tata Foundation, Rajendra Pachauri, to sue UKIP MEP Paul Nuttall for pointing out that Tata stands to make £600m from trading "carbon credits" under the Carbon Trading Scam Scheme invented by ... erm ... Rajendra Pachauri. Recently we have heard that there is to be a closure of the Corus Steel Works in Teeside, in North East England. This is due to the EU target of a reduction of 20% of Carbon emissions. Thanks to "Carbon Credits", Corus can no longer afford to employ over 5,000 Steel workers including suppliers. We also have the spectacle of the British government admitting that its hands are tied on this issue by punitive EU Competition Law. The real gain to Corus from stopping production on Teeside is the saving it will make on its carbon allowances, allocated by the EU under its Emissions Trading Scheme which will be worth up to £600 million over the next three years. As the head of the IPCC, Rajendra Pachauri, is the head of the Tata foundation, one must ask "qui bono?" Needless to say, Tata of India owns Corus. Is it now official EU policy to offer incentives to companies to close plants, such as Teeside, so that they can out-source their business to countries such as India, or is there a more personal interest at stake here? Cui Bono, indeed. Pachauri is clearly a blagger, he managed to get himself appointed to the management team of the IPPC and oversaw the creation of the "carbon credits" pyramid scheme yet he has no relevant qualifications. A PhD in industrial engineering and economics doesn't qualify someone for this sort of thing. So how exactly did Pachauri manage to blag his way into this job? The UK is once again confirmed as the most eurosceptic country in the People's Republic of the EU in their Eurobarometer survey. Only 36% of people polled in the UK thought there was any benefit from membership of the European Empire whilst 49% believe there is no advantage. There are no figures for the number that think it disadvantages us because they don't ask. Asked whether membership was a good thing, 30% said yes, 30% said no, 34% were indifferent and 6% didn't know. The European Empire spends millions of pounds of our money on propaganda, claiming that people need to be "informed" and "educated" about the EU so they can form their own opinion of how great it is. This Eurobarometer survey shows us that only 6% don't feel they know enough about the EU to be able to judge whether it's good or bad for the country. That's comparable with just about any subject you'd care to survey on and particularly good when you consider that the British government refuses to commission a cost/benefit report on EU membership, thus depriving the population of objective information. It really is time we ended the farce of EU membership. We don't like them, they don't like us. Most of us see no benefit in EU membership and most of us think it is either bad or largely irrelevent. It costs us billions of pounds to be in and makes three quarters of our laws. It doesn't prevent war or provide protection as the recent Russian invasion of Georgia, the genocide in the Balkans, the Turkish invasion of Cyprus and various civil wars still ongoing have shown. John Bercow, the current speaker of the House of Commons, is so scared of losing his seat to Nigel Farage in next year's general election that he has suggested creating a new constituency just for himself which no party will be allowed to contest. The suggestion is that MPs create a new constituency called St Stephens (named after the chapel in Westminster Palace) in which nobody would be allowed to stand on a party ticket. The only constituents would be MPs. This is all personally reasonable - the convention that the Speaker doesn't campaign in an election and that the Speaker doesn't act as a constituency MP in Parliament means that tens of thousands of people in his or her constituency are deprived of effective parliamentary representation. But the driving force behind this suggestion isn't a professional concern on the part of Bercow for his constituents, it's a selfish and desperate suggestion to save his political career. If this suggestion is taken forward by MPs then much will be made of how much more democratic it will be and how it will benefit the electorate. But MPs won't dare take it further and give us all a vote for the new constituency and allow the entire electorate vote for a Speaker. But do MPs have the ability to create a new constituency with their own rules on whim just to protect one of their own? Surely the independent Electoral Commission is responsible for such things? Not according to John Bercow: "The House of Commons can always decide to do that if it wants". MPs can give create seats for themselves and make up rules to stop anyone from unseating them. Who'd have thought it, eh? Gordon Brown has plumbed new depths of diplomatic incompetence and financial illiteracy with the announcement that the UK will contribute £1.5bn to a £6.5bn fund for "poor" nations to combat climate change. The pre-budget report this week set out the bleak outlook for the economy - taxes are going up, £30bn of extra pre-election vote buying, tens of billions of pounds of extra borrowing - but the chosen one has found a spare £1.5bn down the back of the sofa in Number 10 to spend on adverts showing drowning puppies and polar bears in the Seychelles. But setting aside the idiocy of borrowing £1.5bn to give away to some corrupt, third world tinpot dictatorship to spend on guns and gold plated Mercedes, why are we paying one fifth of the amount being pledged in the name of the European Empire when there are another 26 member states who are supposedly out of recession? No wonder the economy is in such a state when the person holding the purse strings thinks 6½ divided by 27 is 1½. The European Empire's eurozone may have officially come out of recession relatively early but at what price? Greece has borrowed so much money to spend its way out of the recession that Greek national debt next year is expected to hit 125% of GDP. Spanish national debt is predicted to reach 67% of GDP next year. Both Greece and Spain have had their credit rating downgraded by international ratings agencies. Spain has been downgraded from "Stable" to "Negative". We have yet to see what the impact of Gordon Brown's scorched earth pre-election budget will be on the UK's credit rating but despite Liebour's economic incompetence keeping us in deep recession after the rest of the developed world has come out of it, we are still in a better position than most of Europe. With Greece and Spain insolvent and international confidence in their ability to pay disappearing, how many other eurozone countries will be taken down thanks to the negative effects on their mickey mouse currency? UKIP Telford & Wrekin had their Christmas party on Monday (my first Christmas party of the year). The party was, naturally, organised by the formidable Jill Seymour and among the guests were Mike Nattrass MEP, Nikki Sinclair MEP and a number of PPCs, including Telford & Wrekin PPCs Councillor Denis Allen and Malcolm Hurst and Solihull PPC John Ison. Telford & Wrekin's veteran activist, Councillor Ray Knight, was presented with a medal for outstanding service to the party by Mike Nattrass and Nikki Sinclaire. The EU has prescribed a bitter pill which could deliver a fatal blow to the UK’s herbal medicine industry says UKIP MEP Mike Nattrass. West Midlands MEP Mike Nattrass is backing calls made by HRH The Prince of Wales for the Government to implement the regulation of herbalists. The Prince’s Foundation for Integrated Health charity claims without regulation an EU directive banning herbalists and practitioners of traditional Chinese medicine from using manufactured or pre-prepared herbal medicines could abandon herbal medicine patients to ‘quackery’. The charity, which was founded by the Prince of Wales in 1993, has expressed fears that, without regulation and the implementation of the EU Directive in 2011, herbal medicine patients may be tempted to obtain their medicines from backstreet traders. Under the EU Directive only statutory registered professionals like doctors would be able to prescribe manufactured or pre-prepared herbal medicines. Mr Nattrass has welcomed the charity’s statements and also a statement by the European Herbal and Traditional Medicine Practitioners Association (EHTPA) that without Government regulation of the industry the directive would force many herbalists to close down. He said: “I fully back the comments made by the Prince’s charity and the statements made by the EHTPA. The herbal medicine industry could be plunged into crisis by this directive which is due to be implemented in 2011. “It could lead to herbal medicine patients seeking remedies from backstreet traders or via junk websites. “This EU directive could have very serious consequences and like all UKIP MEPs I am completely opposed to this interference from the European Union. “We should regulate our own healthcare services and not be dictated to by Brussels. “This whole issue is deeply concerning and UKIP has warned of this for the past seven years. We should make our own laws and policies in Westminster,” he added. The European Empire is planning an exchange system for judges and police officers from member states. The "Stockholm Programme" will see foreign police officers patroling with our own and foreign judges sitting with our own judges. It will also include prosecutors, customs officers and border guards. The Roman/Napoleonic legal system is funadamentally incompatible with our own legal system. How can a judge from another country that has a completely different legal system to our own sit in judgement in one of our courts? How can a police officer from an EU member state enforce a law they don't understand in a foreign country? Unfortunately, there is little benefit in opposing the Stockholm Programme because the Lisbon Treaty gives MEPs an "equal" say in justice and home affairs with national governments and there are a lot more MEPs than there are national governments. A Dutch MEP has pointed out that because of the Lisbon Treaty, Justice ministers will no longer be able to ignore MEPs. This, she suggests, is a good thing. It is a commonly-held belief that leaving the European Empire is as simple as repealing the European Communities Act 1972, the law that made us a member of what was then the EEC. We can repeal the European Communities Act 1972 but the Lisbon Treaty still stands under the Vienna Convention on the Law of Treaties and the Lisbon Treaty says that if we wanted to leave, we would have to ask permission from the rest of the European Empire to leave and if they agreed we would have to endure a 2 year "cooling off period" before we got out. To renounce the Lisbon Treaty without having to get permission and sit out the cooling off period, we would have to argue that articles 50 and/or 51 (corruption and/or coercion of our representative) applied. To leave early without invoking articles 50 and/or 51, we would have to break international law to get out of our Lisbon Treaty obligations. It is true that no parliament can bind its successor under English common law but the "Supreme" Court or the EU Court of Justice (as the highest legal authority in England) can rule differently. It's no longer a case of repealing the European Communities Act 1972, we would have to repeal or amend the Vienna Convention on the Law of Treaties (it's on the statute book) to allow the British government to withdraw unilaterally from the Lisbon Treaty. Repealing or amending the Vienna Convention on the Law of Treaties would seriously undermine international confidence in the country and set a very dangerous precedent - probably more damaging to the country than the EU, I'm afraid. I would say we've been stitched up like a kipper but the Spanish have probably got all the kipper quota under the Common Fisheries Policy. Following the election of Lord Pearson as leader of UKIP, William Hill are now offering odds of 2/1 for UKIP to win one or more seats in the next general election. The odds of Nigel Farage beating John Bercow in Buckingham have been shortened to 5/1.